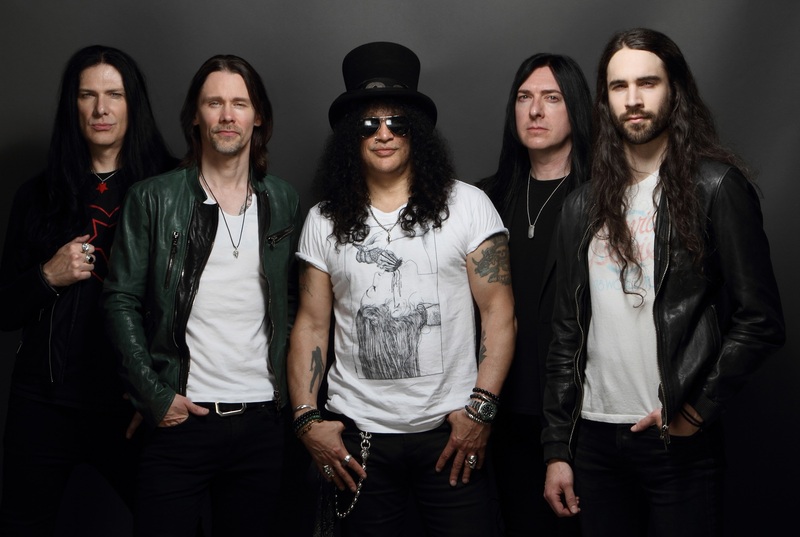 Rock powerhouse Slash Ft. Myles Kennedy & The Conspirators will release a brand new album titled Living The Dream on the 21st of September via Slash’s own label Snakepit Records, in partnership with Sony Music Australia. The group has recently unleashed ‘Driving Rain’ to radio—the first single off Living The Dream. Living The Dream is Slash’s fourth solo album, and third with his band mates: Myles Kennedy (vocals), Brent Fitz (drums), Todd Kerns (bass and vocals) and Frank Sidoris (guitar and vocals). 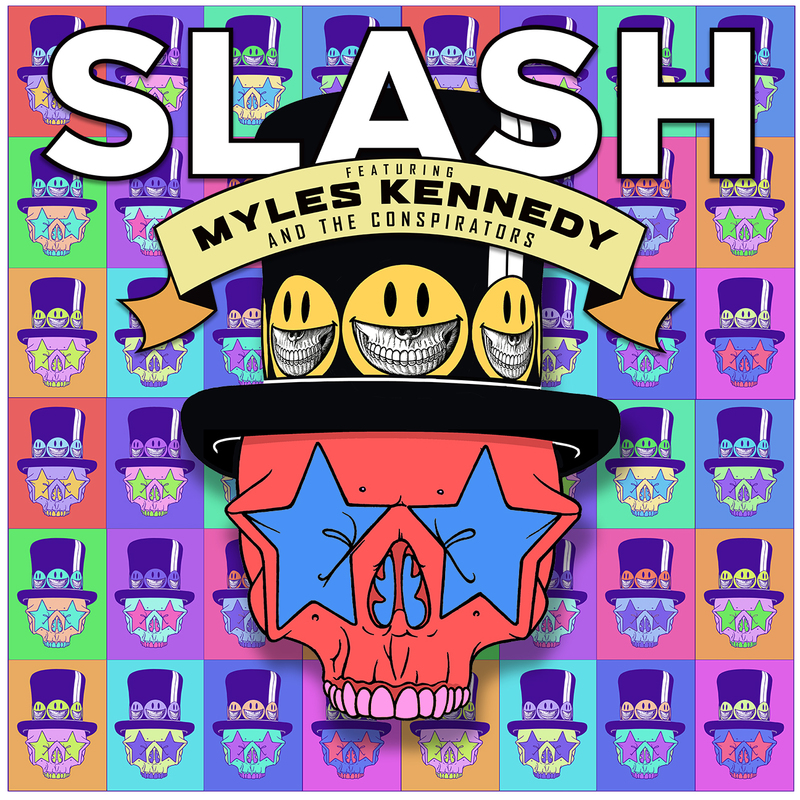 SMKC has also unveiled the artwork for the new album which was created by Ron English; a starry eyed skull sporting Slash’s signature top hat. Instead of the metal detailing around Slash’s actual hat, the illustrated hat is adorned with smiley faces with skeletal mouths. You can pre-order Living The Dream via JB Hi-Fi for your chance to win your way to LA to see Slash ft. Myles Kennedy & The Conspirators up close at the world famous Whisky A Go-Go on Sunset Strip. Entrants must have a valid passport. You can pre-order Living The Dream here. Album tee and hoodie bundles are available here. Watch the trailer for Living The Dream below.